Kenworth Truck Co. announced a major milestone at its Renton, Wash., truck plant, and the availability of the Cummins Westport ISX12N Near Zero natural gas engine in certain models. The assembly plant recently celebrated 25 years of operation and has produced more than 144,000 Kenworth trucks. 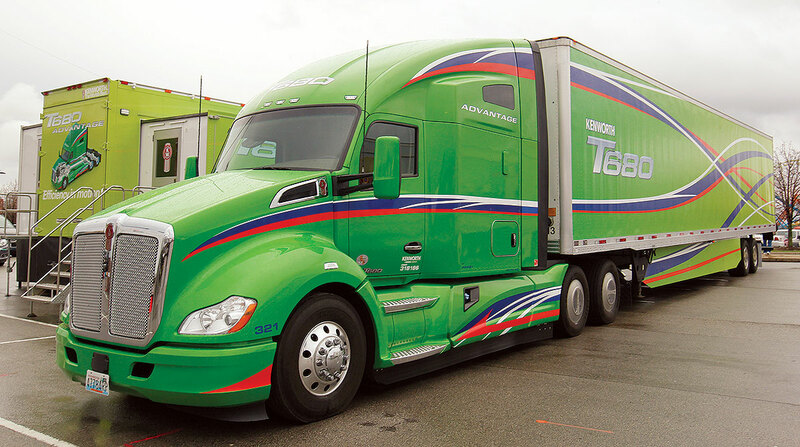 The 300,000-square-foot plant currently produces the T680, T880, T800, W900, C500, K500 and 963 models, along with medium-duty Kenworth T370s and T440s. Nearly 20% of the plant’s current employees have been working for Kenworth since the plant opened in 1993. It has achieved the prestigious ISO 14001:2015 certification for its effective environmental management system, which supports the production of trucks in an environmentally responsible manner. Kenworth is a brand of Bellevue, Wash.-based Paccar Inc., which is celebrating its 95th year anniversary. Meanwhile, the Kenworth T680 on-highway flagship and Kenworth T880 and T880S vocational trucks are available for order with the Cummins Westport ISX12N near-zero NOx emissions natural gas engine. The engine can operate on compressed natural gas and liquefied natural gas, as well as renewable natural gas. The ISX12N is certified by both the Environmental Protection Agency and California Air Resources Board. The engine meets CARB’s optional low NOx standard of 0.02 gram per brake horsepower-hour — a 90% reduction from engines operating at the current U.S. Environmental Protection Agency NOx limit of 0.2 gram standard. TransPower Kenworth Expands in Valdosta, Ga.